Childbirth videos are a great way to prepare for the impending delivery of your baby. Before you purchase a childbirth video, you should consider narrowing down your options as to how you want your baby delivered. While childbirth books and classes are terrific ways to learn about what to expect when you deliver your baby, nothing really illustrates the situation better than video. And, the more specific you find the video to your situation, the better it will prepare you for your own delivery experience. For example, if you are expecting triplets and your ob professional deems it a medical necessity to deliver your babies in an operating room, watching a childbirth video about water birth may not provide you with much information pertinent to your childbirth experience. 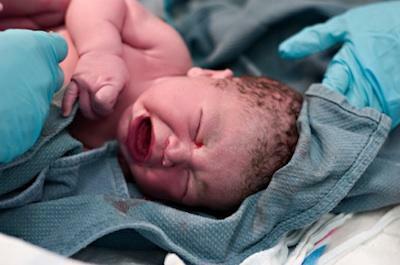 One great video about labor and delivery is Laugh and Learn About Childbirth. This comprehensive DVD set is both funny and informative. Home childbirth is often under the care of a midwife. It allows you the maximum amount of privacy and control over where and how you give birth. You can choose to have your baby in your own bed, on a pallet on the floor surrounded by friends and family, in a bathtub, or a birthing tub. You can invite your entire family to the big event, including your other children, which many hospitals may not allow. Home childbirth also has a downside. If complications arise, a mother may find the way a midwife handles the situation differs from how an OB might handle the situation under his care. A home childbirth video can help you prepare for complications and show you the advantages of giving birth to your baby at home. Attach From Scratch-You'll find several home birth videos that cover different scenarios, and you can watch them for free. Giving Birth Naturally-Watch videos of natural births, including water births. Home Birth: The Spirit, The Science, and The Mother-Found on Amazkon, this comprehensive DVD gives a great view of home childbirths. Whether you are interested in delivering your baby in a squatting position, a birthing chair, having a water birth, or have already been informed by your doctor that you will need to deliver via a cesarean, you can find a childbirth video that will help you visualize the procedure. You can find informative videos online at sites like Having Your Baby video which features two Lamaze instructors as they teach you everything you need to know about childbirth. Comfort Measures for Childbirth DVD-This DVD is an excellent resource that is available for order online. Mastering Pregnancy Massage-Find out how to manage pain in pregnancy and labor through massage techniques on this DVD found on Amazon. Visit a website like Amazon.com where childbirth videos are rated by those who have already purchased the video. Notice when the movie was made. The more current productions are apt to provide you with the most current medical opinion and procedures. Look to your local library for copies of childbirth videos. View them, then decide which videos you want to purchase. Finally, don't overlook the wealth of free resources that can be found on the Internet. Check out resources like Hip Chicks Pregnancy Guide on Youtube and a nice selection of childbirth videos at Baby Center. In addition, check out a wide selection of childbirth and pregnancy videos on YouTube.